Keep your beverages cool with this Rabbit wine and beverage chiller. 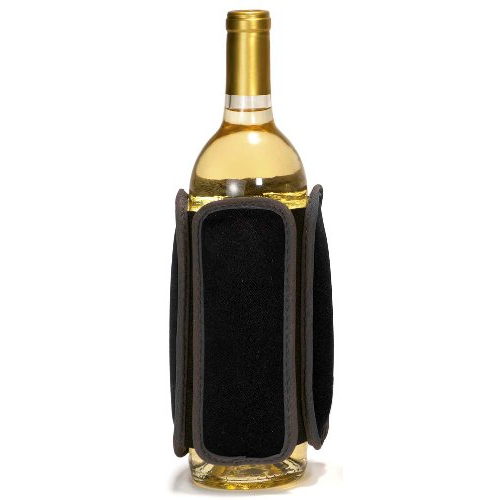 The black neoprene sleeve with ice packs insulates glass and plastic, and can stretch to fit a two liter bottle. Able to chill your bottle in just ten minutes, it stays cold for up to two hours. Perfect for picnics, tailgating, parties, and more, the the sleeve should be placed inside of the freezer for four hours before you use it.